Yesterday, Bloomberg News reported pharmaceutical giant Pfizer paid New York City $24.7 million for subsidies it used along with a penalty, for failing to live up to promises made in a $46 million corporate retention package awarded by the Industrial Development Agency in 2003. While this is indeed welcomed news, it’s diminished by the fact that the subsidy package should never have happened in the first place. As GJNY testified at a hearing before the subsidy was awarded, Pfizer is a mainstay of Manhattan’s East Side and didn’t need taxpayer’s money to expand its offices. 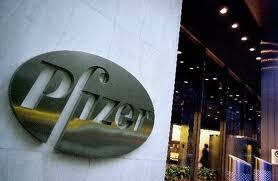 Others, angry at Pfizer’s drug policies concerning distribution of drugs to poor people and those with HIV and AIDS, were offended that public money would go to the pharma giant’s real estate pursuits. To top it off, in June of 2003, an executive was quoted in Crain’s New York saying the firm never planned to leave the city. While details are sketchy, we assume the company fell out of favor with the city after closing its Brooklyn plant in 2007 where it’s been since the mid 1800’s and when word got out about reductions in its workforce and Manhattan office space. The Pfizer deal, while egregious, shows that the Bloomberg Administration allows for strong recapture (compared to his predecessor Rudy Giuliani) especially in the very early years of a deal; the city can demand 100% repayment and penalties for job losses before June 2011. Though the city’s handling of the MetLife deal shows recapture provisions aren’t always equally enforced. The city, as of yet, hasn’t put out a press release detailing where the Pfizer deal went array, but it shouldn’t be shy about holding companies accountable. This entry was posted on December 8, 2010 at 11:09 am and is filed under Clawbacks, Disclosure, New York. You can follow any responses to this entry through the RSS 2.0 feed. You can leave a response, or trackback from your own site.